Presenting Paul Hardcastle's biography or discography would be like carrying coals to New Castle. Everybody knows this famous musician and his music. One of his tremendous hits is Rainforest, reaching #1 on the 12" sales chart in the USA in 1984. A first highlight of his terrific sense for melody and rhythm. 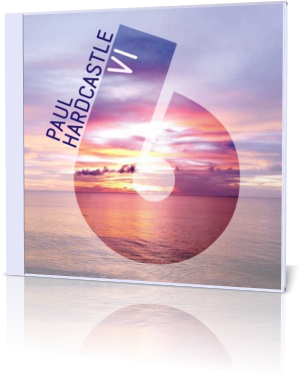 Decades later Hardcastle revisits this classic theme with Rainforest/What's Going On on his new album Paul Hardcastle VI (2011). The ingenious combining of Rainforest with Marvin Gaye's What's Going On, a critical song about the ghetto youth, gives this song a new direction, an anti-war declaration. Neon Adventure conjures up a breath of exotic woodwinds, electronic and sax. The hypnotic song allows saxophonist Rock Hendricks enough space for free improvisation. The slow paced Lost For Words presents the eye-catching singer Biggins for the second time in a sensory experience. "Get Down, Get Down!" Dc Boogie evokes the dance floor time of the '70's. Becki Biggins and Rock Hendricks kick the groove. A chill mix of Rainforest/What's Going On adds a spherical note to the album. Appealing melodies like Easy Come Easy Go keep up the good mood. Smooth to the point. With the love ballade Let This Love Begin Becki Biggins returns to the root of emotion. A softy song underlined with furry sax and Hardcastle's omnipresent beat. Blew My Mind Ibiza Mix has that bumping vibration, excelled by Rock Hendricks' sax to the max. If you get lost in sounds like Into The Blue, don't worry, you are not alone! More romantic stream with the instrumental version of 1000 Miles From Nowhere. Becki Biggins' divine vocals bathes in a pool of spherical sounds. And if you cannot get enough from the Rainforest theme, Paul Hardcastle offers at the end of the album his Forest Echoes (The Conclusion). Never change a winning team. Paul Hardcastle keeps his style in flow and he is stunning perfect in doing the Hardcastle.